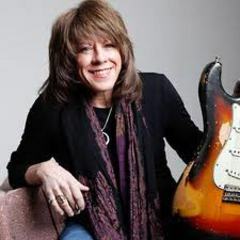 Someone once commented that Kelly Richey sounds like “Stevie Ray Vaughan trapped in a woman’s body with Janis Joplin screaming to get out.” Over the course of 14 albums, decades of touring, and amazing live shows, that description has gone from a compliment to almost a calling card. Kelly Richey possesses the same skill, charisma, and determination those two legendary artists once held. Kelly sat down with Johnny Full-Time for conversation and music from several of her albums. The pair discussed Kelly’s brand new CD, Sweet Spirit, new band members Freekbass and Jyn Yates, Richey’s brief hiatus from music in 2010, and much, much more! Listen to the show at the link above. In addition, make sure to Click Here to Visit KellyRichey.com for tour dates, to purchase music, and much more!